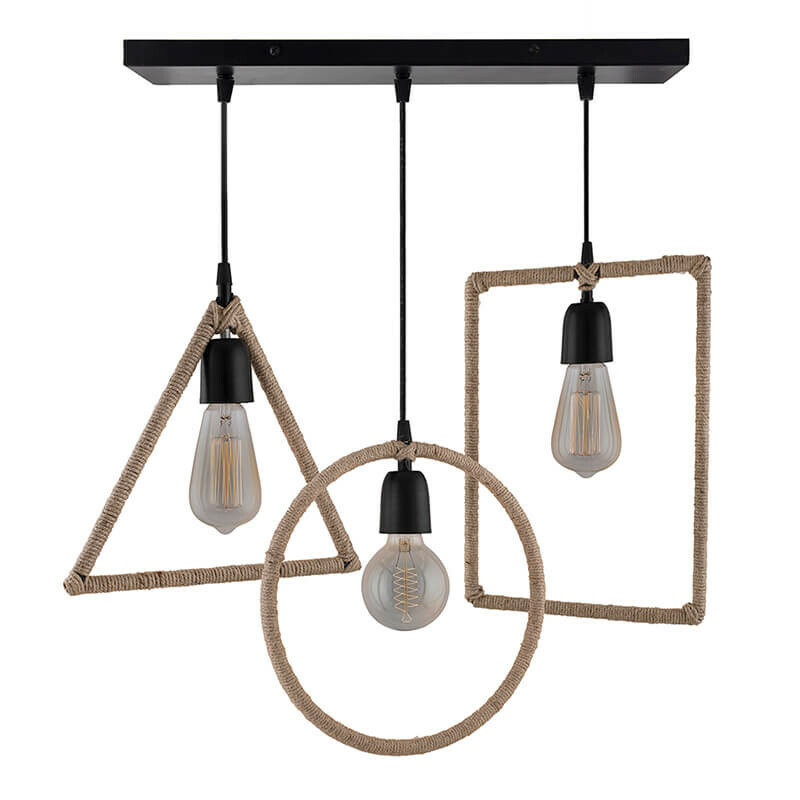 Illuminate your dining room or living room with this striking cluster pendant features three graduated hemp rope with Rectangle, Triangle and Round shaped lights suspended from a rectangular plate on finished rods artfully displayed at different heights. Rich, rustic, and unmistakably stylish, this gorgeous 3-light hanging fixture marries brilliant character with impeccable taste. The lights hang at separate lengths supported from an antique iron base. Fits E27 Edison Vintage bulbs (Bulbs included), 1 meter Hard Wired Corded Electric, 220-240v, 60-watt Maximum Power. 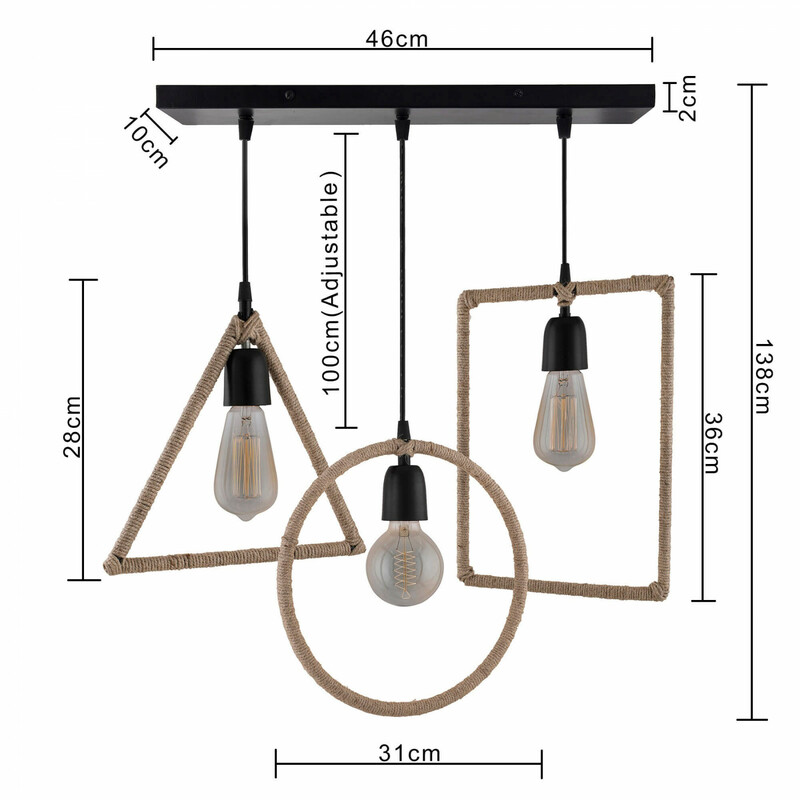 Perfect for House, Bedroom, Living Room, Dining Room, Foyers, Bar, Restaurants, Coffee Shop, Club Decoration.